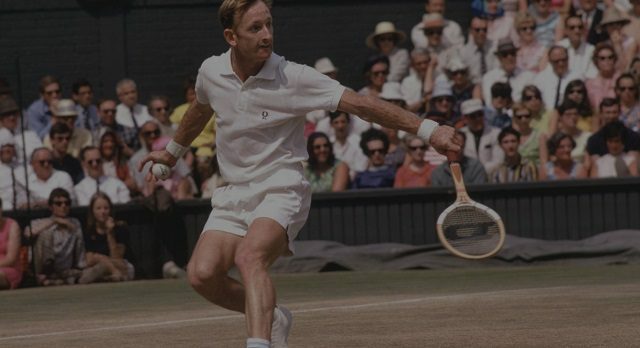 Among the illustrious names that appear in the eternal discussion to nominate the best player in history is, by his own right, the Australian Rod Laver, “The Rocket”, the man who rode on the backs of three different eras of tennis, amateur, professional and open, triumphing in all them in an undeniable way. In Rod Laver is given a curious paradox. On the one hand, he is a celebrity, recognized by the tennis and the whole world of sport; his presence at major events is common, and the tributes to his figure are continuous. 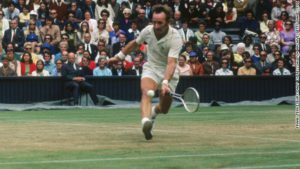 However, many of his achievements are unknown to the vast majority of fans; outside the scope of the great specialists, what has been left in the Laver career are his 11 “majors” and the Grand Slam obtained in the years 1962 and 1969. The reasons for this large dark area that appear in the career of Laver are two: on one hand, the perpetual oblivion to which professional tennis has been doomed since the 1930s until the advent of the Open Era. 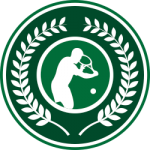 On the other hand, the scarcity of images and the absence of a systematized record in the tennis activity prior to 1968 – both the databases of the ATP and the ITF have no information of the pre-open era, with the exception of the Grand Slam tournaments – that has left fans without references. Rodney George Laver was born August 9, 1938 – the year of Donald Budge Grand Slam -, in Rockhampton, Queensland, Australia, into a middle class family, where he was the third of four brothers. According to himself in his memoirs, although her parents did not enjoy good health, they were always fully committed to him and his brothers. His father – cattleman and butcher – always worried about their children will practice sport; of course, in an Australia where the names of Bromwich, Crawford, Quist, Patterson and Sedgman had mythic resonances and where the influence of Harry Hopman was increasing, the chosen discipline could not be other than tennis. Laver, left-handed, 1.73 meters and a small physical size, did not seem predestined to be a great figure of the sport. But the sharp clinic eye of Charles Hollis, a charismatic coach who mentored a large part of the Australian tennis golden generation and a key figure in the history of Laver, was not fooled by appearances and he could see an incomparable talent in the young of Rockhampton and, above all, a will of steel. Hollis forged the tennis of Laver with hard workouts based on his military experience – explain, demonstrate, practice and correct – looking for a total game, beyond the tennis of service and volley which prevailed at that time. Thus, Laver developed a technique without weaknesses, where the volley game was accompanied by aggressive groundstrokes, standing out his topspin backhand, an innovation in those days, which he was able to hit them running almost with the same precision than standing. His left-handed service became a lethal weapon, fitted with a wide variety that allowed him either slice it to play wide and displacing out the court the opponent, as direct it to the cross, straight or topspin, with devastating effects. In the service, Laver hit the ball very high, to compensate for his short stature, projecting with legs up and forward, in an exquisite technique which required equal strength and coordination. With all of this, Laver formed a very advanced tennis to the standard of his time. In the physical aspect, the requirement of Hollis and the hard work of Laver gave excellent results. Rod gained so much strength in his left forearm that was hard to believe that it corresponded to the same person as the right one; such was the volume he got. His speed and agility were developed so much that the nickname of “The Rocket” – with which Hopman called him ironically in 1951 to mock because of his slowness – acquired an authentic reason for being. In his amateur stage Laver won 46 tournaments, 38 of them between 1961 and 1962, achieving, plus twice Wimbledon and the Championship of Australia, a Roland Garros and the U.S. Championship, all the important titles of the calendar of the period, among other Queen’s, Hamburg, Sydney, Melbourne, River Oaks in Houston, Newport, the Italan Internationals, Lugano, Adelaide, Caracas, the British Hardcourt Championship and the Davis Cup in 1959, 1960, 1961 and 1962. His amateur balance was 466 victories and 111 defeats, for a 80,76% effective. It could have been a shock for a player who came from winning everything in the amateur field. But not for Laver who already had demonstrated heart of champion beating previous adverse situations, as his hard beginnings in 1956 or when he lost four points in the Davis of 1959, he never lost again a match in this competition. Laver understood that what had happened was even logical. 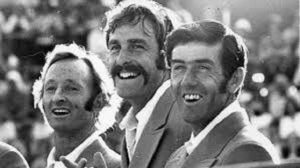 Trabert, Rosewall, Hoad and Cooper had gone through similar situations when they were swept away by Pancho Gonzales after razing in the amateur field. So he set out to learn and adapt his game. He put aside the happy game and carefree which he had exhibited in 1962 and he began to limit the risks and play more to the percentage. The results were swift and Laver soon began to compete against professionals. In that same year he already was second in the professional World Series, although clearly beaten in the play-off final by Rosewall, who in the absence of Gonzales, he clearly dominated the season. As happened in his amateur stage, the Laver path in professional tennis was always in constant rise to completely dominate the circuit. In 1964 he triumphed in the US Pro and Wembley, his first two professionals majors. In 1965, he already was the undisputed number one in the world, won 17 trophies, including Wembley, his third Grand Slam Pro, Newport and the Masters Pro in Los Angeles. In 1966 were 15 titles that he pocketed, US Pro, Wembley for the third consecutive year and Forest Hills included. In 1968 the exodus of top players to the professional field was already massive. So the federations had no choice but to give in and admit, not without hesitation and protests, the participation of the “pross”. 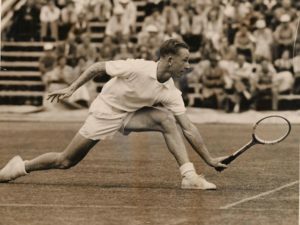 Thus began the open era tennis in which all players could finally compete in the same tournaments, something that had not happened since Bill Tilden moved into professional in 1931. 37 years later the tennis was reunified. The new tennis stage took Laver with 30 years, but that did not mean an obstacle to him in order to still remain the great dominator. Although he lost the final of Roland Garros before Rosewall, he came back to Wimbledon, six years later, to achieve his third consecutive title in an exhibition in which only Dennis Ralston, in the quarterfinals, got him in trouble. Despite the new openness character of the competition, the “pross” continued playing even their own circuit. 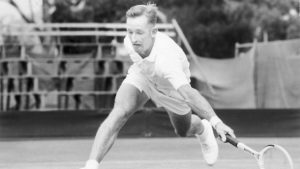 Laver could raise his fourth US Pro and his second French Pro, beating on both final to John Newcombe. There were his ninth and 10th Grand Slam Pro, but with the advent of the Open Era this category disappeared for the history of tennis, although the tournaments kept all its strength. Although he did not win a Grand Slam tournament again – in the ten following years he only took part in eight editions – the achievements of Laver did not cease. He maintained the global leadership during 1970 and 1971, years in which he won twice the Tennis Champions Classic, triumphs that, according to the memoirs of the own Laver, were among the most important of his career – in the 1971 edition he won in 13 matches to the best players in the world to reach the title – even though the ATP, as happens with so many other tournaments in those years, does not have them recognized. In 1973 he returned, 11 years later, to the Davis Cup to perform another brilliant demonstration. He defeated in singles to Jiri Hrebec, Jan Kodes, Stan Smith and Tom Gorman – to the latter in a dramatic match of five sets – to give Australia its twenty third Davis Cup, the fifth in his particular track record. The last official match of Laver was in Las Vegas, in April 1979. The honour to dismiss him from the courts corresponded to John Alexander. A legendary champion was gone, but also a great man characterized by an indomitable spirit of self-improvement and a sincere modesty that made him to write in his memoirs that the best match of his life was the defeat against Rosewall in the French Pro of 1963. -11 Grand Slam titles (4 Wimbledon, 3 Australian open, 2 US Open and two Roland Garros). -8 titles of Grand Slam Professional (4 Wembley, 3 US Pro and 1 French Pro), third player with more titles after Ken Rosewall (15) and Pancho Gonzales (13). – Grand Slam amateur (1962), professional (1967) and “open” (1969). Awesome tribute to the greatest player of all time. Thank-you so much for all those facts and figures.